Anushka Shetty is making her acting comeback almost after a year. Post the release of Bhaagmathie, Anushka was not seen in any of the movies. She is now all set to make her comeback with an exciting project in the direction of Hemanth Madhukar who earlier directed the film Vasthadu Naa Raju. The makers made the official announcement on the project today and also released the list of actors who are going to be a part of the project. 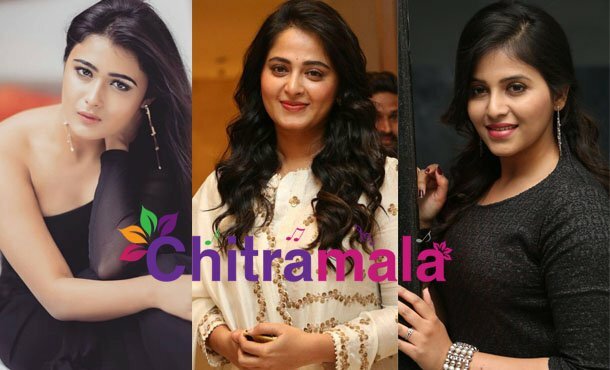 Tipped to be a horror-thriller, the movie is going to have Anjali and Shalini Pandey in the key roles. Madhavan will be seen in the male lead. Kona Venkat and Gopi Mohan worked on the script. Kona Venkat is co-producing the film along with TG Vishwa Prasad of Peoples Media Factory. Hollywood actors and technicians are also going to be a part of the project. The regular shoot of the film will start in the USA from March. Anushka in Mani Ratnam’s Next? Anushka Shetty’s Romantic First Night Scene!